Why dancingsoles for this blog? Dancing Soles Studio and Gallery was my dance studio. 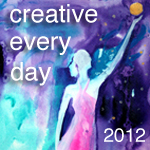 I dream dance and choreography; it is always part of my life, and it helps me cope with unwelcome experiences. I hope that my sharing this with you will help you in some way. I, also, hope you will let me know what you think about anything you read here. Send me a note or a poem or a dance or a few steps or . . .
My life started in Detroit, Michigan, as Donna Bacacio. After I married in my twenties and changed my name to Donna Horowitz, my husband Steve and I moved a few times and divorced while living in Cleveland. I stayed there for a number of years before moving to SoCal, where I married Marvin, his real name, though most people know him as Don, the name given him by his adoptive parents. He is my hero and someone I wish my mom, whom we lost in 1997 to colon cancer, and my dad, whom we lost 4/25/10, would have met. My sister Jennifer lives with her husband in Ohio and have a son in the Navy, and my sister Angela lives outside Detroit. Angela’s daughter, my one and only niece and my god-daughter, also, lives with her family in Michigan. I’m a registered workaholic. Also, I’m a writer, editor, dancer, choreographer and now a cancer warrior. I have a hard time with that last role; I also choose to think of myself as a warrior, who is actively and strongly engaging in battle to remain as active as possible. My original diagnosis was in May 2004. After my remission failed, my diagnosis with metastatic (stage IV) breast cancer was January 2009. Originally, in only my bones it has spread in 2012 to my liver and lung. Since the cancer has resumed its course, I know that I need to cope in ways that I have not yet discovered, new ways of stretching the boundaries. Art. Faith. Love. Knowledge. Hope. Communication. This will be my life’s work in progress, and dancing, whether with my body or my pens, will always be part of my work and my coping. Thank you for writing and sending me your poem. Sharing support and positive energy is such an important part of coping with cancer; I believe we cannot survive without it. The colors of cancer help us to recognize without a word the support from people with whom we will never share a word. Yet, we feel the support conveyed by the symbols. I was diagnosed with breast cancer Sept 04. Then in Jan 06 it matast. to my T5 and I repeated chemo and radiation again. In Oct 06 they found 2 tumors in my femor bone … now they said it has spread to my rib. Still on Zometa every 3 months and Armid. daily we continue on… I wish you the very best in your continued fight. I am sure you know life is an opportunity and people like you are amazing when you step out there and give to others in words. I don’t have a website, just came across yours while surfing… how were you rediagnosed? I am feeling like my primary physician is dismissing some of my complaints and I have fears of recurrence, initial diagnosis was in 2005/right mastectomy/AC&T treatment. I will see my oncologist in September, do I force the issue for an MRI or PET scan if I have concerns? What do you think? I have daily aches and pains but chalk them up to residual chemo pains. Best wishes to you in your continued battle! I am anxious to view your inspiring and entertaining sites. We met at the infusion center Friday. Turns out we work in the same area, just in front of vs. behind the scenes. What a small world…and so nice to put the face with the name I’d heard so often over the years. You are an inspiration to me as I begin my cancer journey. I’m literally taking one day at a time for now…just dealing with the chemo plan and not thinking much about the surgery to come. It’s just too overwhelming at this point. Still, women like you give me strength beyond words. Hope to see you again on Fridays…my prayers are with you. You are an amazing warrior!!!!!!!! What a wonderful coincidence that coworkers should meet not at a departmental function but as we wait for treatment in our home away from home. Dealing with a new diagnosis has to be one of the worst experiences of this entire saga. Be sure to rely on the strength and comfort of those close to you. It really helps to have someone who can listen and allow you to express your feelings. I will write separately and hope we can stay in touch. Please call me or write me any time. Hope you are somehow staying cool during this heat wave. Hi there…I just got married…had a baby at the end of January of 09 and turned 37 in March then found out on May 22nd 09 that I have breast cancer..I was shocked and scared and numb all at once when my dr. told me via the phone. I have had 2 surgeries and found out that 1 of my nodes under my left arm had cancer which put me into the stage 2 catergory.I started AC on August 21 09 every 2 weeks for 2 months then 2 months of Taxol is next. I hope things go well and after reading your stories I believe you are a very strong woman…I hope I can be as brave as you have been thus far. Your husband seems to be a very sweet and loving man…just like my husband…that helps so much having a partner that really cares. Thank you for sharing your battles with chemo. I recently found your blog on breast cancer and wanted to reach out. I’m the blog coordinator for EverydayHealth.com. We’re currently recruiting people to write a weekly blog post about their various health conditions and I thought you might be interested. Everyday Health has over 25 million monthly unique visitors to their website, and there is a lot of potential exposure and traffic to come from blogging with the market leader in online health information. It’s also an excellent platform to promote awareness about breast cancer and related issues, and any cutting edge research, advice, or non-profit work being done. Let me know if this is something that you’re interested in and might like to talk more about. I enjoyed reading some of your old posts, and I think you have a unique perspective that Everyday Health readers would love for you to share. Hello Donna, here’s a voice from way back when…one of the gals in your “old ladies” jazz tap class in Cleveland, early 90’s??? Barb sent me your link. Your husband looks really nice and honestly, you look terrific! You go girl! Keep dancing and keep fighting! P.S. I still have the video of our recital. We were hot! Donna, you are an inspiration. Trying to figure out how to “follow” your blog. I follow “beingcancer” and Daria’s Living with Cancer. I’m pretty uneducated with dealing with anything but the program I am used to. My original breast cancer in 2006 was in my left breast, and then July this year, 2009, diagnosed with METS to the spine, pelvis, even the skull. A bunch of places. I had palliative radiation, which helped my worse spot. I am so sorry you had to have surgery!! You have a lot of info here; thank you for all the work that has gone into that compilation. Best to you, and your husband, and your dog! It is past midnight and I’m up once again because the pain gets bad and I have to get out of bed and change locations. Now I’m in my recliner. I was looking on the web just trying to find a place to have some dialogue with others that are in my position. STAGE IV, METASTISIZED BREAST CANCER IN MY BONES. Here is my story: This might not be the right place to post it, but maybe someone out there will read it and can tell me who I can network with. I was originally diagnosed with breast cancer in 2003. I was 43. I had no history in my family and was shocked when it was found in a routine mammogram. Since I was fairly young…. the doctor hit me hard with chemo (that good ‘ole red devil stuff) and then 36 treatments of radiation. I even followed up with a hysterectomy to make sure we shut down those ovaries. It was not in my lymph nodes and it was estrogen positive. Well, it has been 6 years ago and I thought I was a survivor!! In August this year, I went back for my 6 month check up. (I still go back every 6 months to the oncologist and he examines my breasts and does blood work and ask if anything is hurting) I turned 50 on Sept. 25 this year. I was so excited about my birthday, I had made up my mind that God had given me the gift of life to see my children contine to get older and that by gosh my 50’s were going to be good years.. I was excited! I had been doing so well and I was a 6 year survivor. That very day, I noticed that my lower back was really bothering me and that my right leg was dragging. By the next day, I could hardly straighten up and for 3 more days, I was hurting in my lower spine so I decided that I had to go to the doctor. I teach school and I couldn’t go to school, I could hardly walk. I thought I had a ruptured disc. My doctor did an MRI and when the results came back, Oct. 1, 2009, everything changed drastically. My family doctor called me in and had already contacted my oncologist. My cancer had come back and had matastisized in my spine! They did a PET scan and it was in my L5-to my tail bone. My ribs. My pelvic bones and my left femur. The neck of my femur is so bad that I am scheduled for surgery Friday to have a rod put in my femur and pelvic area to strengthen it before it snaps and breaks. There is also a small spot on my liver that the oncologist cannot tell if it is cancer or not. I am going to UAMS for a 2nd opinion Wed. this week (Nov. 4) because there is a very good cancer center in Little Rock. Just for a second opinion. I am on pain meds 24/7 . I had to go on and make a decision to retire from school teaching. I have taught 27 years. I have missed school ever since my spine started hurting and I could barely walk. I just didn’t think it was fair for the kids to continue to have a sub when they could hire someone to take my place since I knew I couldn’t go back to work. I offically retired yesterday. THIS HAS ALL CAME ON SO QUICKLY! I had no clue that the cancer had come back and in so many places! And when it started hurting…. it went from zero to 10 within 2-3 days and has not let up. Without the pain meds, I couldn’t function. I wouldn’t be able to turn over in bed. The treatment plan now is to take Tamoxifen everyday and take an IV of Zometa once a month. I cannot drive because I’m on so much pain medicine, I have had to retire from my work, and now I’m dependent on everyone! My world has changed drastically! I am not down and out….. God has given me the strength to deal with it. But I need some other people who have this similar situation to talk to. I don’t know what to expect in my future. I think the email list I joined is at CLUB-METS-BC@LISTSERV.ACOR.ORG. It’s been wonderful. Email me or check out my blog if you like. Join the Club-Mets-BC email posting list. It really helped me. For bone only they just put you on a hormone blocking drug. I’m surprised they put you on Tamoxofin if you have no uterus, but I’m not a doctor…I’m post menopausal, thanks to surgery, and I am on Femara. I had palliative radiation to my right hip/pelvis area, which was badly eaten away. It helped the pain a lot. I hope your surgery does the trick for you. I will remember you in my thoughts and prayers. I have some links to give you and will write to you tomorrow as I was getting ready to turn off the computer and head to bed when I saw your comment. I am sorry to hear you are dealing with this and that tonight you are having so much pain. My treatment has included surgery to my back for a very large tumor (they could not remove it all), radiation to my back and two regimens of chemo. I hope you are getting some comfort tonight and will be able to sleep. I will write to you tomorrow. Please visit my web-site and see if you would like to share links with me. My site is dedicated to teaching patients and caregivers about the safe benefits of massage by a trained oncology massage therapist. I also have come to love line dancing later in my life and believe in the healing power of dancing. I am a fellow breast cancer warrior and blogger and just found your blog. 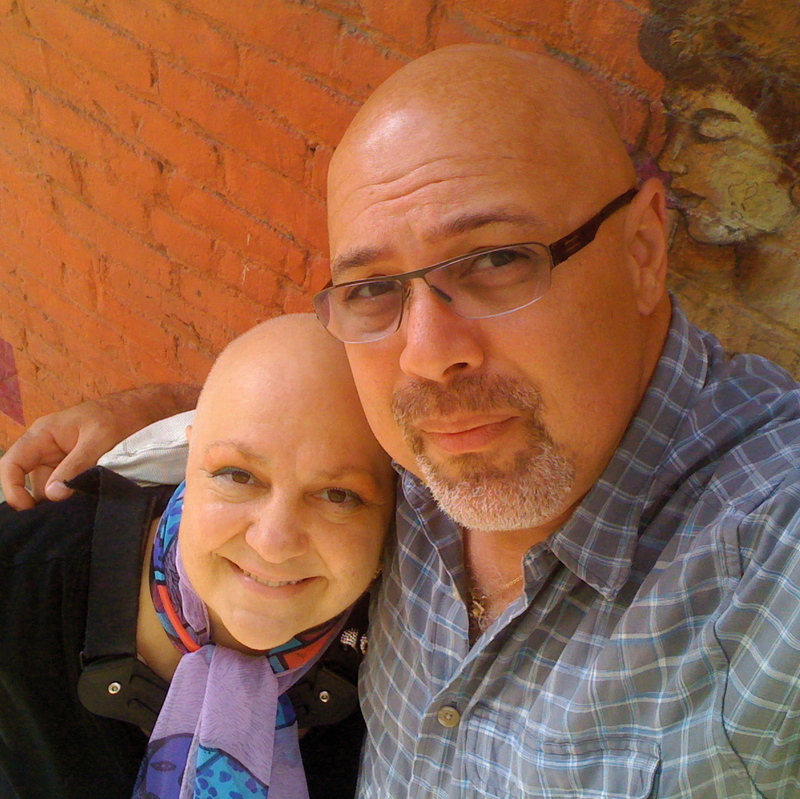 So wonderful to find you are writing about living and coping with metastatic cancer. You are a beacon to others. Keep writing, keep living, keep your loving strong spirit. I found you through Facebook. Your writings are so inspirational. You are such a brave woman! I work with WOW organizing Author Book Tours. We have an author touring with us right now that would be a perfect inspirational guest blogger on your site-she is a two-time cancer survivor who has written a memoir/self-help book. I would love to send you more information. Please email me at robyn@wow-womenonwriting.com and I will send a reply with a formal introduction and all the other info. No where does this kind of information exist that provides concentrated information to enable chemo/cancer patients to navigate the issues, including financial options. Such a great and inspiring site! I was hoping I could show you a new resource (http://www.breastreconstructionmatters.com/) that will provide helpful informaiton to your readers. For many women considering breast reconstruction after mastectomy, finding information and support is very important. Women should become educated about their rights, their options, and what resources are available to help them make educated choices. Our site is a new resource that offers a place for women to learn more. Please feel free to share this information with your readers and don’t hesitate to contact me if you have any questions! I’m a documentary filmmaker currently working on a project about the death of my mother from breast cancer when I was a child. I would like to speak with you about possibly posting a link to the trailer for the project on your site. Thank you and I hope you have a lovely day. Reading about what’s going on in your life made me smile and teary eyed. You are such a strong person. I will dance for you in my heart & literally as well. May God hold you close to his heart. What a wonderful journey that you’re on. What a blessing to have Marvin on this journey with you. Remember, the best is jet to come for you. I was doing a little surfing this evening looking into my grandparents last name of Bacacio. I am the grandson of Elviria and Anthony Bacacio. My grandmother died in 1978, my grandfather in 2001 and my step-grandmother Agnes Bacacio last evening. I can remember as a youngster listening to your father and my grandfather play their wonderful music on the accordian. They were awesome. My aunt Joann and mother Marlene remain very close and I have been blessed with wonderful memories of my grandparents and their rich Italian household. I am married and have two children…..Emma 8 yrs and Carter Anthony 5 yrs. Many prayers of support and love to you! Although I have not experienced any cancer, my mother went thru breast cancer a few years ago in her 80’s. My husband has Type 2 Diabetes and I wanted to create a Med ID that was beautiful for both of these loved people in my life. The breast cancer necklace is my favorite. Take a look see. Please read my poem : Staring Death In the Face if you have an inclination. I just found your blog ~ I am a 10 year BC survivor…sending you strength, hope and hugs for your journey. Donna, I’m Maria aka McOtters in Decorah, BC survivor, chemo brain club member, and member of your cheering squad. You’re a great warrior. I salute you and send you prayers. Hello fellow Michigan ex-pat–or would it be ex-pat from Michigan? Anyway, just found your blog today and thought I would reach out and send you a hello and wish you well today with your drama!